Using DRAFT Mode on Your Inkjet Printer. When you select the ‘normal’ mode the printer makes multiple passage and coating of ink on bolder characters. Meanwhile, in draft mode it makes a single pass and moves on to the next line. This creates a less bold print which will still be acceptable for a printout version. You can always reset between the draft mode and the normal/best mode if you need the boldest touch. Reducing Output Resolution on Laser Printers. Laser printers have ‘resolution’ setting that has the same functionality as a ‘draft’ mode on an ink jet. At lower resolutions the amount of toner particles used to create an image lowers significantly. This pales the image but still makes it clear, distinct and visible for use while lowering the amount of toner used. At 300 DPI a laser toner printers faster and uses less toner than at 600-1200 DPI. Save Your Colour Cartridges For Colour. Colour cartridges always cost more than monochrome cartridges. Therefore, unless you really need to, it is better off to save them for colour printing. When some of the print have some slightly off colour there are printers that automatically switch to multi-chrome printing to reflect these colours. Typical printing is better off with a monochrome, usually a black and white or grayscale colours. Laserjets are particularly prone to this. Sometimes it is easier to get a low-cost ink printer for the monochrome printing functions. Do you even need a colour cartridge? A number of HP inkjet printers can print black-only even when the colour cartridge is out. In such cases, you can set the instructions for the printer to continue printing even in the absence of colour inkjets. In case, the printer continues to reflect signals that demand colour cartridges you have the option of taking out the colour cartridge slots altogether. The printer may continue to reflect the instructions but it will print just fine. 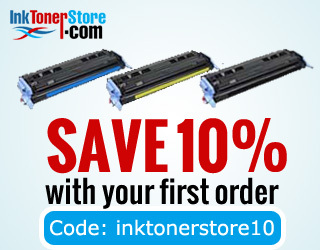 A few other methods with which you can save on ink and toner is by turning on, Toner Save feature in your laser printer, you can also reduce print density on your printer or the multi-function machine. Other methods include buying the right ink cartridge for your printing needs, using an Eco-friendly font and reducing the Stop/Start cycles.